Banking has changed beyond all recognition over the last decade. Many high streets are now without a traditional bank as, according to The Times, some 802 branches closed in 2017 alone1 – a figure that seems certain to accelerate this year. The statistics continue to stack up: a 2016 report from the Federation of Small Businesses2 estimated that 1,500 previously banked towns had become branchless: banks are compensating for the loss of these branches by increasingly channeling customers down digital routes. While numerous small businesses are embracing the shift to digital services, with 94% of SMEs using internet banking2, there is still huge value in being able to have a face-to-face conversation. This is particularly true when businesses are making important decisions about the future and are looking to raise finance. Raw, online data may be universally accessible, but an online app cannot back up the figures with years of finance knowledge, no matter how sophisticated the software. The loss of bank managers from many high streets has also seen the disappearance of the experience needed to quantify the different types of funding needed to take an SME to the next stage of its development. The relationships, and the businesses that rely on them, are being lost. The figures back this up; a report from Close Brothers, the merchant-banking group, showed that some 12% of lenders didn’t understand the sector and a further one in ten don’t have the necessary knowledge or understanding of borrower’s individual needs3. Hardly surprising, then, that the same report says that only a fifth of SMEs believe bank’s advice always meets their needs. Data mining is an invaluable tool, and algorithms produce data on a scale never seen before. However, there is certainly more to lending than producing endless data – and it involves a human being becoming embedded in a borrowers’ business, nosing around the factory floor, getting to know the different personalities and the management team, and ultimately coming up with a bespoke financial package that will meet the ambitions of that company. The good news is that many of the most experienced bankers have moved into the alternative finance sector, and firms like ThinCats. 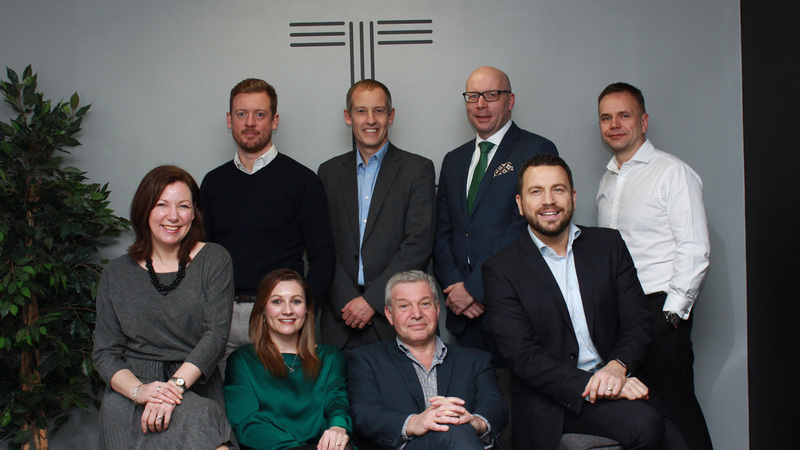 These experienced lenders have switched their knowledge and experience to more agile organisations operating in the alternative funding and commercial finance sectors. This creates the perfect environment for finance-hungry SMEs who can take advantage of a range of funders offering personal and professional services with great local and industry knowledge - all without the overhead costs and bureaucracy of the traditional lenders. Former bank managers have also found alternative employment at accountancy practices and corporate finance advisors who work in partnership with alternative finance providers, ensuring a virtuous circle of knowledge throughout a lending deal that SMEs are more than happy to tap into. This shift towards alternative finance means that SME owners can now access flexible funding that reflects the specific needs of their business. Deals can be considered on their own merits, and different types of security can be considered to provide collateral. For lenders providing secured loans this doesn’t necessarily have to mean physical assets, as stable and diverse cashflow can also be valuable. For years now, SME owners have complained that they can’t access their bank manager. Now, alternative finance providers are heralding the return of a genuine, personal relationship with local business experts, who invest their knowledge and time in their clients’ business growth (a role that the banks have long since eschewed) to put their considerable expertise to good use - supporting SMEs. Our team continues to expand as we appoint Rob Thompson to the newly-created role of regional head of credit for the North. Is access to finance a barrier to SME growth? Small business growth opportunities are being stymied through lack of capital, research has found . This is exacerbated because many businesses feel they are unlikely to get a loan to fund their growth plans. The high street bank continues its move from community cornerstone to museum piece – to the detriment of Britain’s small businesses.